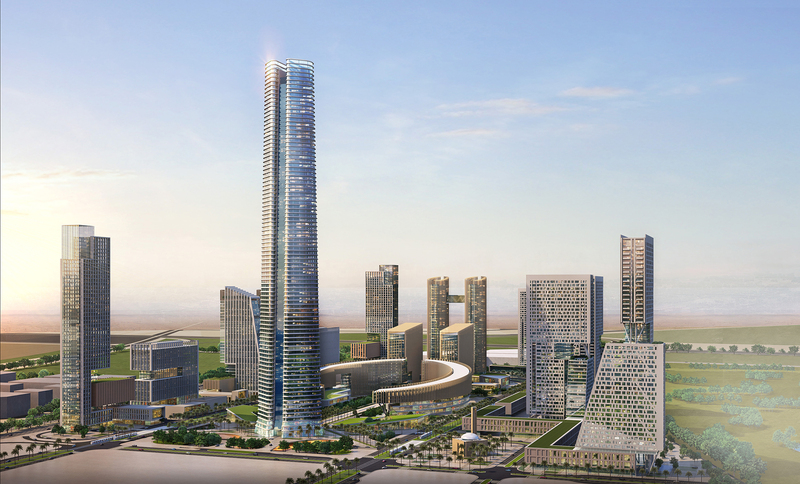 LafargeHolcim will play a key role in building Egypt’s new capital, currently under construction 45 kilometers outside of Cairo. The city will become the country’s new administrative and financial capital, with around 5 million inhabitants. Since the beginning of the construction works LafargeHolcim has supported several of its landmark projects, with a total contract value for LafargeHolcim of around CHF 50 million. 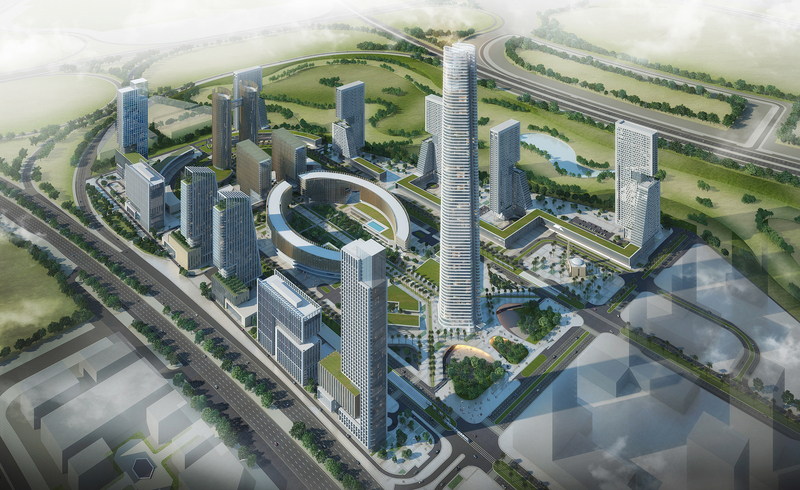 Among the buildings using LafargeHolcim’s innovative, high-performance materials is the so-called Iconic Tower, which is set to become the highest tower in Africa with a height of 385 meters when completed by the end of 2020. LafargeHolcim is providing a range of specialty high-quality solutions for several landmark buildings. For the Iconic Tower, LafargeHolcim is using an innovative and sustainable cement solution with higher slag contents to meet the contractor’s specifications. The solution is unique to the Egyptian market and provides an extended lifetime of more than 100 years thanks to its higher durability and strength, which are essential for a structure of this size and weight. LafargeHolcim was the exclusive cement supplier for the tower’s base construction work, and in February this year poured concrete nonstop for 48 hours, the country’s longest-ever concrete pour. Thanks to its production and logistics capabilities the company could supply large quantities of cement in a short time, significantly cutting the time needed for the pour. LafargeHolcim is also providing lightweight concrete solutions for the Egyptian Cabinet building, which will be part of the government district of the new city and will include the parliament, ministries and other state institutions. These lightweight solutions deliver adequate strength and density values and minimize dead loads on the building. LafargeHolcim is the only building materials company in Egypt that offers this type of solution. Additionally the company is supplying further solutions for several other ministry buildings. To ensure materials are delivered reliably and on-time, a new concrete batching plant has been installed on-site. Another one with an expected production capacity of 300,000 cubic meters is scheduled to open by the end of Q1. The company is also taking the lead in quality control with its state-of-the-art local laboratory, where it can test both its own solutions as well as construction materials provided by other suppliers. LafargeHolcim is engaged in several other landmark projects in Egypt that support the country’s growth agenda, including two new metro lines in Cairo, the new Suez Canal tunnels and several port extensions. The 6th International LafargeHolcim Forum for Sustainable Construction will be hosted by The American University in Cairo (AUC) from April 4 to 6, 2019. The LafargeHolcim Forum will focus on the topic “Re-materializing Construction”. Keynote speeches, workshops and site visits will focus on strategies to reduce consumption throughout the material cycle from extraction to processing, transport, installation, maintenance, and removal. Lafarge Egypt, a member of LafargeHolcim, is a key player in the construction materials industry. With its plant located in Sokhna, the company provides products and solutions that are essential in creating the structures that shape our landscape today. Powered by more than 1,600 employees, and through its established business in cement, concrete and bags manufacturing, Lafarge Egypt is committed to providing sustainable building materials to meet the needs of its customers, whether it be individual home builders, large construction companies, architects or local artisans.